L4708, Korea "40th Anni. 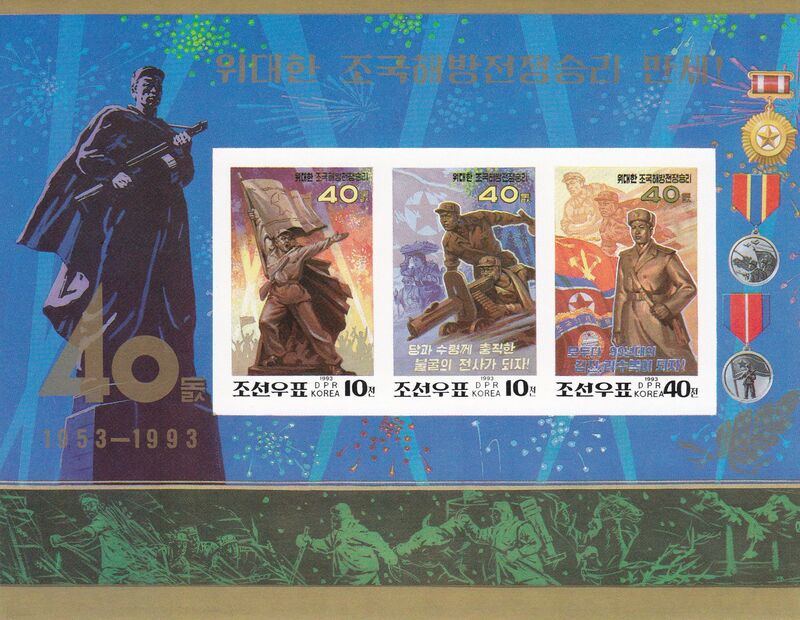 of Liberation War" SS Stamp, Imperforate 1993. MNH, please see the pictures. 1 Pcs Souvenir Sheet Stamp. The full name of the stamp is "40th Anni. of Victory in the Fatherland Liberation War". Issued in 1993, Imperforate.